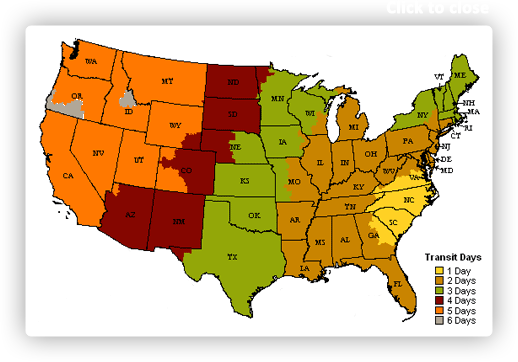 Colors include: Green, Beige, Hunter Green. The primary colour is Green. 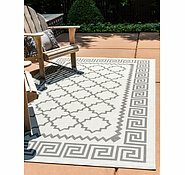 4' x 6' Eden Outdoor Rug is rated 4.9 out of 5 by 46. Rated 5 out of 5 by pat67 from WOW!!!! 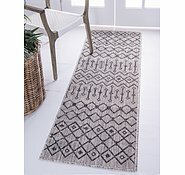 I found AU rugs whilst looking on google from western australia. 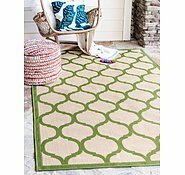 I found the perfect size and colour, I did look over the rug with the zoom button and thought ok it might be this good. On arrival just 7 days (unbelievable) it can take longer within australia it arrived. I was more than delighted it was exactly what I had been promised in the advertisement and beyond. Quality terrific colour just as advertised in fact I could not fault it even my husband was impressed.. My son and family can across to visit the next day and were blown away with the rug again the colour quality the size. Where did you get it so expect another order from Western Australia - soon. 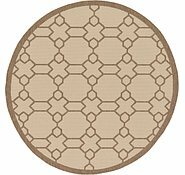 Rated 5 out of 5 by Nor O from Awesome purchase I bought this carpet for my Granny Flat, mainly for my teens and their friends. 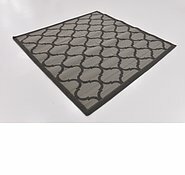 The colour is beautiful, modern design, easy to clean and of course great for my purse. It came today, about a week from USA. Delivery is free and with DHL which updates me on the location and arrival time. 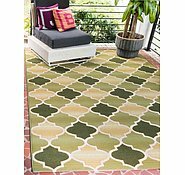 Personally love the carpet and would recommend to others. I bought after reading good reviews from others too. Rated 5 out of 5 by Wiwismum from Perfect I was stoked with excellent price, But that Delivery was so phenominal..... This cam from America, to in Australia in what felt like 3 days.... may have been more... possibly 5.... I dunno, but it was fast! And convenient... so many options, I picked it up from a store I pass everyday on the way home. Too easy! And the rug itself? Love it. Just want I wanted. Looks great. Rated 5 out of 5 by Ruth15 from Faultless experience The rug arrived after being carefully chosen after much trawling and trepidation. It surpassed my expectations. Communication was clear, delivery quick and most importantly, I was able to purchase something I loved and have it delivered from across the world without fuss. Thank you. Rated 5 out of 5 by mmrs from Very happy! I received my rug extremely quickly. I was kept informed of it's location and delivery date. And most importantly, it was just as portrayed in the photos on the website - the colours were exactly the same. Very happy. Rated 5 out of 5 by MaxieDeC from Turns covered deck into an alfresco room!! Always very happy with the quality and service from AuRugs! This latest purchase has turned mum's covered deck into a cosy inviting room attracting numerous favourable comments! Just love it. 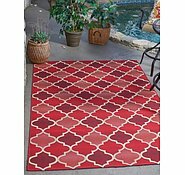 Rated 5 out of 5 by BiancaJane from Great quality I bought this rug about 2 weeks ago. It is exactly as it looks in the picture and such great quality. 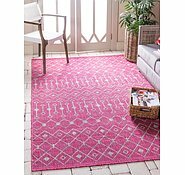 Will be buying my rugs off this site in the future. So happy with my purchase! 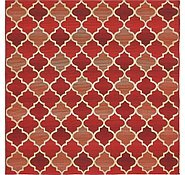 Rated 4 out of 5 by Jube from Great rug. Not happy with currency conversion fee When you buy from Au rugs you get the impression that Au stands for Australia and means that the company is in Australia or at least charges in Australian dollars but... you'll be charged a currency conversion fee as well. That aside, I have only had it for two days and I love it and the postage was amazingly fast! I'd buy again despite the conversion fee. 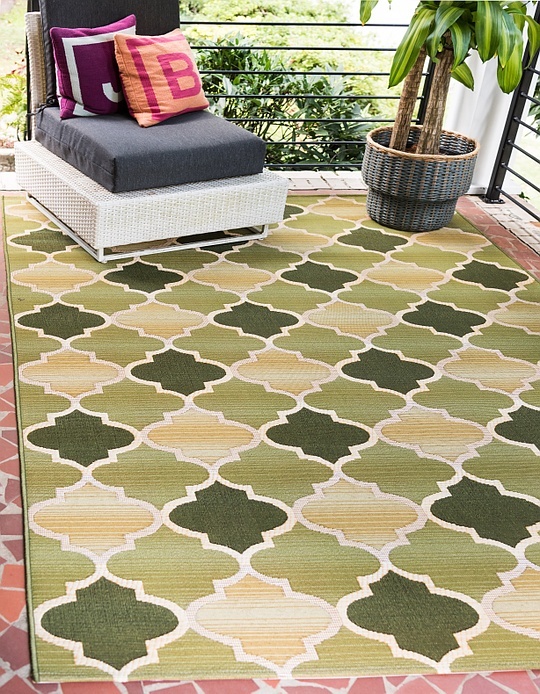 Is this rug truly okay for outdoor conditions? 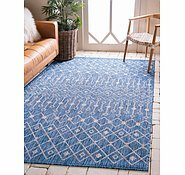 Im trying to order a rug and cant just buy though paypal. Any help please? Please give us a call at 1800647934. Hi! 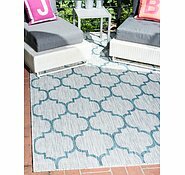 I was just wondering if this rug &quot;Outdoor Botanical &gt; SKU #: 33138480&quot; feels like softer material or like plastic or hard material. In other words, what is the texture &amp; 'foot feel' of it please. Thanks. 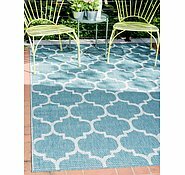 The Outdoor Botanical Rug is soft enough for your feet but it feels as if you were to step on straw. 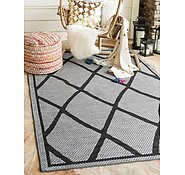 are the outdoor rugs ok if they get rain on them? Yes, they are designed to be exposed to harsh weather. They also dry quickly. 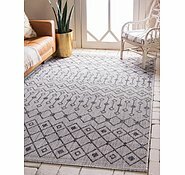 Will this rug size be restocked please ? We restock every 6-8 weeks. Please check back again at that time. 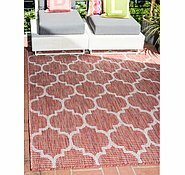 I would like to inform you that our outdoor rugs can be easily cleaned by being rinsed off with a garden hose. I would like to inform you that this is a machine made rug, not hand woven. Hi, Are you able to provide custom lengths? 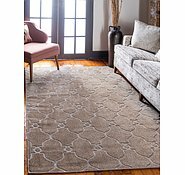 I am looking for a rug 60 x 3600? 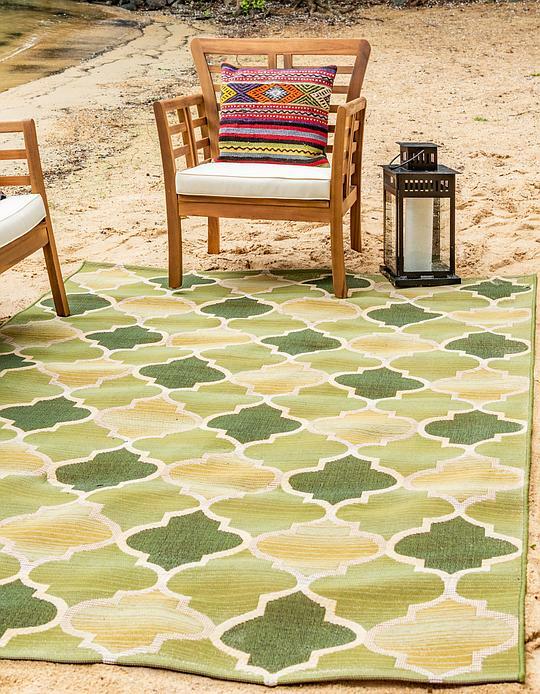 Unfortunately, we do not custom cut any of our rugs.